Some claim golf is a metaphor for life. Even more, golf is often explained as a valid path to enlightenment, Buddhism, God, faith or whatever. Movies such as The Legend of Bagger Vance and Seven Days In Utopia highlight this interconnection. Tongue in cheek, there’s even a website that highlights AA’s Twelve Steps to golf. Of course, there are books. Michael Murphy’s 1972 novel, “Golf in the Kingdom,” is practically a sacred text. It’s about a young man, modeled on Mr. Murphy himself, who on his way to an ashram in India stops off in Scotland, where his life is transformed by an encounter with a golf pro and mystic named Shivas Irons, who knows as much about Pythagoras and the Hindu scriptures as he does about hitting a high fade. For those with a spiritual core, golf is positioned as finding God in every moment. This requires the belief that God willfully inserts himself into human history. This theory attempts to persuade one that a vital, energetic, and engaging God is not indifferent to struggling humanity. Of course, the above approach appears untrue if one watched this past weekend’s Ryder Cup. Wherever God was, he wasn’t intertwined with the United States team. In essence, since the Americans never showed up. As a result, neither did faith. The US team got pummeled into oblivion in Paris. In fact, the US Ryder Cup team has not won on European soil in nearly 25 years. So, what happened? Quite simply, you can’t read faith. You have to live it. In his book The Winning Way in Golf and Life, Morris Pickens quotes, “The key to golf is playing one shot at a time. The key to life is living in the moment.” Jim Elliot, a young missionary martyr who was slain by Auca warriors on the banks of Ecuador’s Curaray River in 1956, expressed a similar life lesson. I close with a story from Anthony de Mellow. When the guru sat down to worship each evening, the ashram cat would get in the way and distract the worshippers. So, he ordered that the cat be tied during evening worship. Moral of the story? 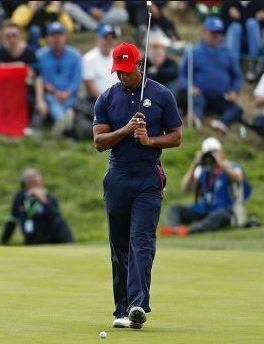 Like many of us, the United States Ryder Cup team continues to live in old learned treatises. Kan: By knowing when we truly love, it is never lost. It is only after de ath that the depth of the bond is truly felt. And our loved one becomes more a part of us then was possible in life. KCC: Are we only able to feel this toward those whom we have known and loved a long time? Kan: Sometimes, a stranger known to us for moments can spark our souls to kinship for eternity. KCC: How can strangers take on such importance to our souls? Kan: Because our soul does not keep time. It merely records growth. The golf driving range is an interesting place to learn the art of love. Swinging golf clubs, hitting practice balls and tuning one’s swing is seldom, if at all, considered a labor of love. 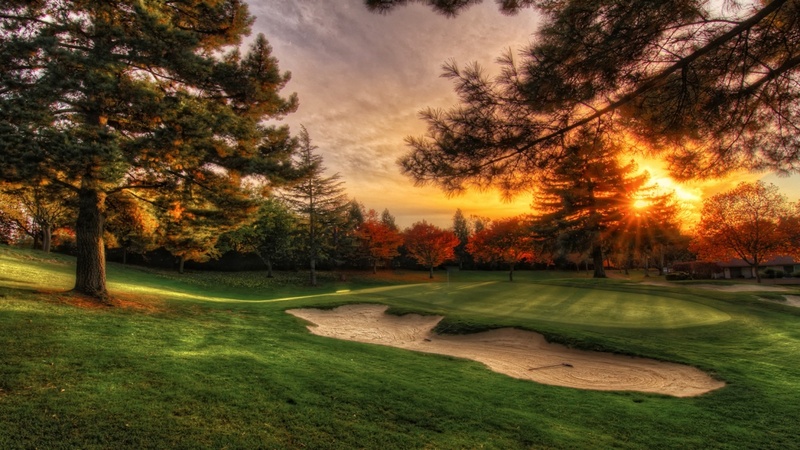 When thinking of golf, I often refer to the Buddhist phrase, “sonomama” or simply see things as they are. Whether one has a good score or bad score, you have to accept the result of your game as your own karma. It is what it is and one can’t blame anyone other than yourself. Life works in much the same way. The Buddhist descriptions of difficulties and sufferings in our lives are just like sand traps and rough greens on the golf course. We try to avoid and escape from these difficulties in our lives. However, we really can’t escape from them. We have to just accept and live with difficulty and suffering as part of our life. We must accept our life as it is. If you’re patient, the level of golf and love will increase. If you’re not proud, your level of golf will expand. If you keep a list of no wrongs, your life and love will greatly enhance all whom you touch. If you protect and trust, your life will become fulfilled, both on and off the course. Most of us try to force love, as if the deep spiritual connection can be fabricated. But if we stop our construction and creation, love becomes significantly easier. And in this acceptance, you will be surprised how many events of life become whole and simplistic. All living creatures need nourishment. And with love, the body learns to sustain in ways that all may live. We can try to force our way into love, but the results are too restricting. Similarly, the same is true on a golf course. One can try to force our swing, but more often than not, we struggle against nature’s spirit and we fail miserably in our result. People … real love is patient and kind. Stop trying so hard. Let your arms down. Love someone and spark a kinship destined for eternity.